Slick, Velvet & their 2 children were on holiday again. Ever since they found the beautiful Hollow with its peace atmosphere & perfect camping areas they went back every chance they got. 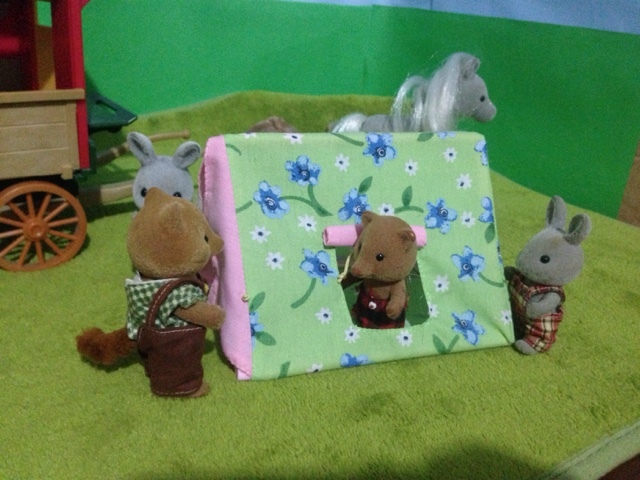 Slick joked that they would live there permanently if they could, to which Velvet always replied "I know you love the peace & quiet, but you & I both know we would go mad without our friends!" 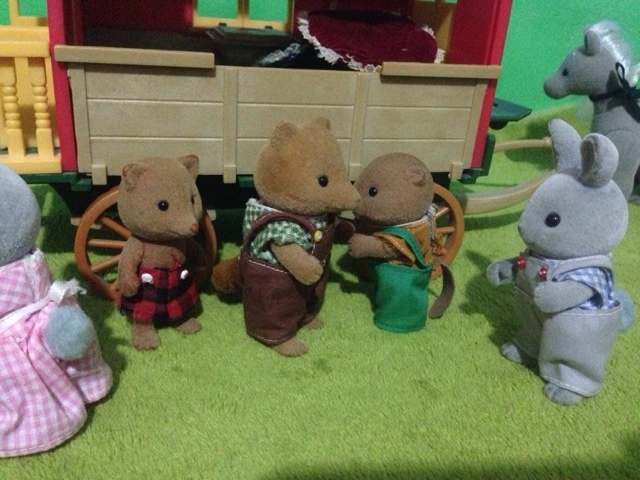 Slick had to agree with her, which is one reason he invited Rocky Babblebrook to join them this time. Rocky & his dad Cliff have been going camping every year since Rocky was small, & this year was the first time they were bringing Bubba, Rocky's son. 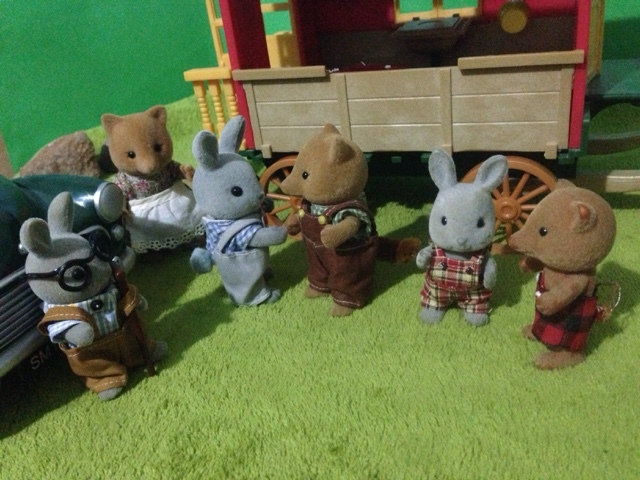 When Slick had told Rocky of the Hollow & how often the Slydales visited it he was very keen to come see it & having another boy to play with would mean that Buster & Bubba would be less likely to be bored & make trouble (he hoped). 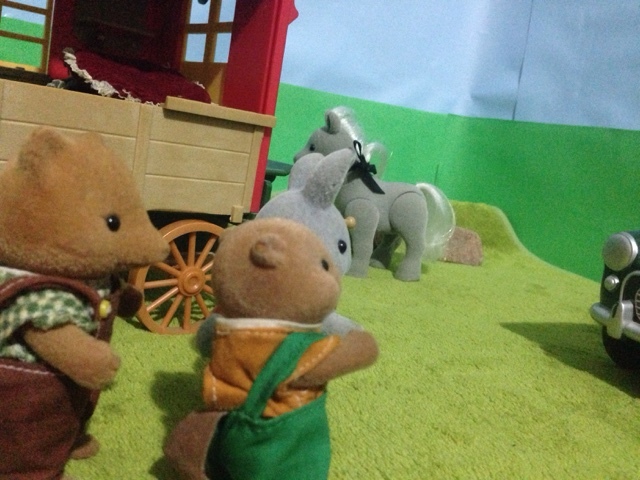 Well today was the day the Babblebrooks were due to arrive, he hoped they weren't too far away. 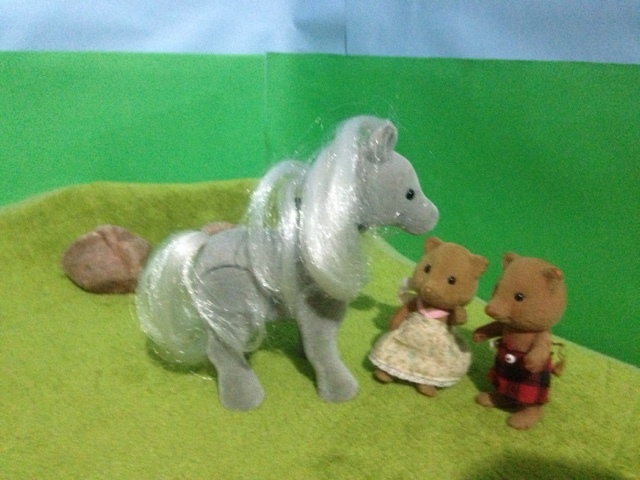 The kids were so excited Slick had to send them out of the gypsy van early, right now they were playing with Brambles (the pony), but who knows how long that would last. Then he could hear the sound of an engine & a green sedan made its way toward them. 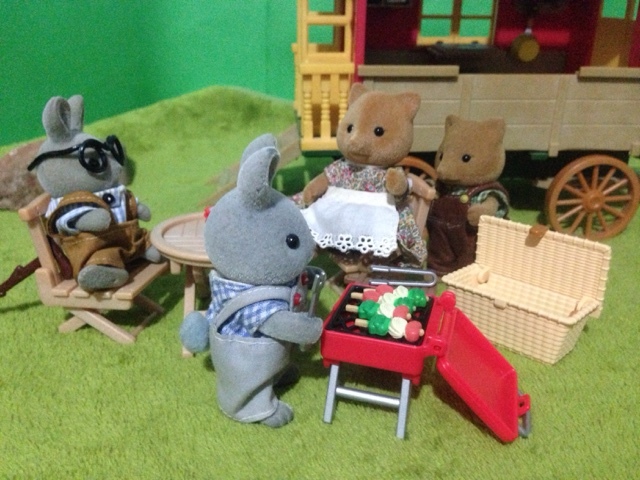 Then it was dinner time, Rocky offered to cook for everyone. At home he does get much of a chance, as his wife Crystal loves to cook & is excellent at it! 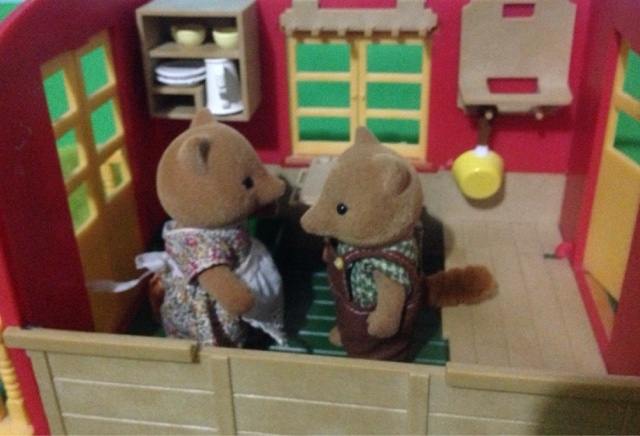 Crystal had to ban the rest of the family from cooking in her kitchen after Pearl (Rocky's mother) nearly burned the house down while trying to cook toast! 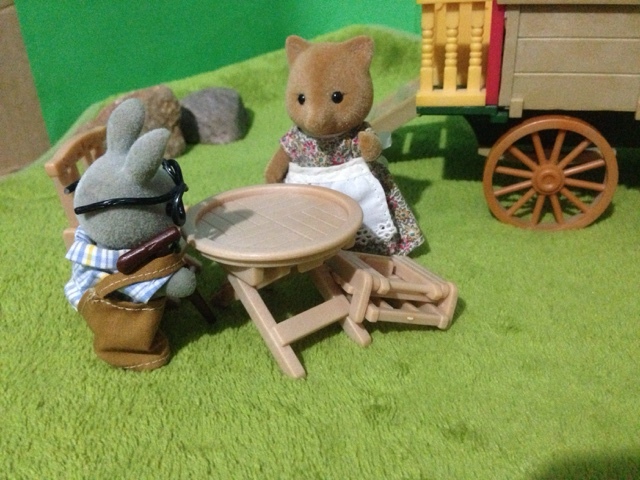 While they waited for dinner to finish cooking, Rocky remarked on just how beautiful the area was. He & Crystal just found out they were going to be parents again (with their 3rd child) & were looking at moving house to have more room. "Crystal would love it here, we've been talking about starting up a market garden, growing & selling vegetables. But there's no room to do that where we live now. But here I can just picture is building a home & garden, right on that hill over there!" 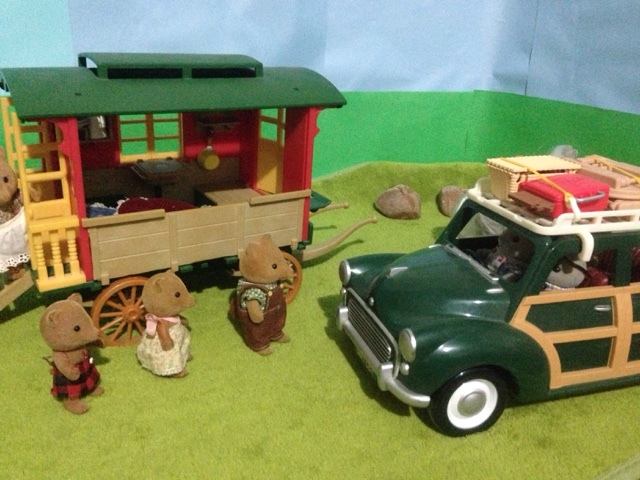 The Slydales & Babblebrooks camped together for a few days & all too soon Rocky, Cliff & Buba had to head home. 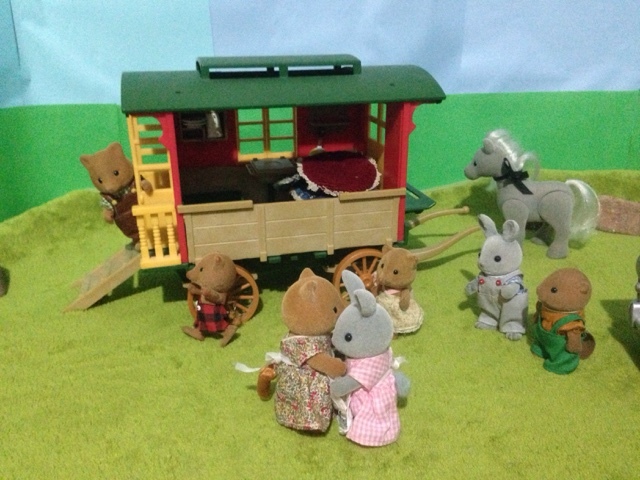 (The Slydales were still staying for another week, or 2 if Velvet had her way). They said "good bye" & Rocky promised that next time Crystal would come with him. The next week was relaxing & quiet. 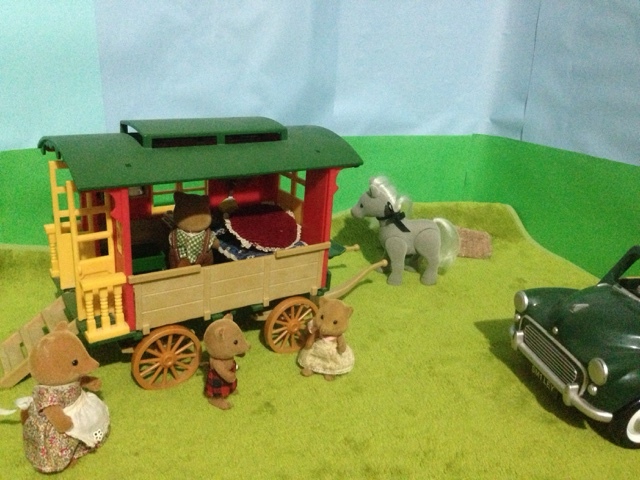 The day that Slick & Velvet were getting ready to leave a familiar green sedan drive up to their campsite. 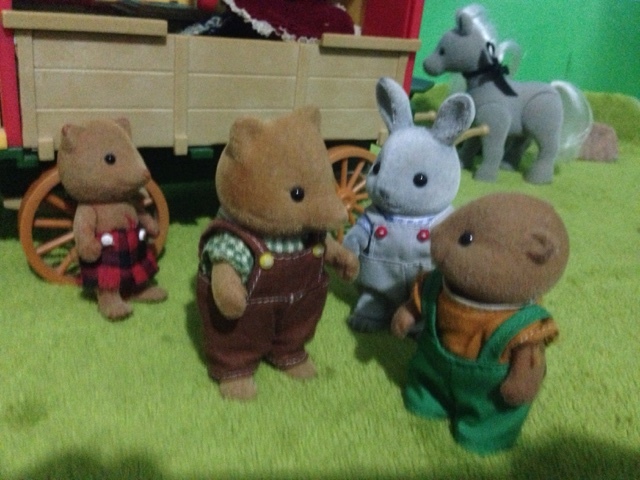 While the women went to get a cup of tea, Rocky introduced Slick to the stranger "this is Wade Waters, one of the best builders in Sylvania!" "Greetings Wade" said Slick & shook hands. When Rocky & Crystal told me they were thinking of building a house & market garden this far away from towns or cities I thought they were mad! But now I've seen the place I totally understand!" "What!" 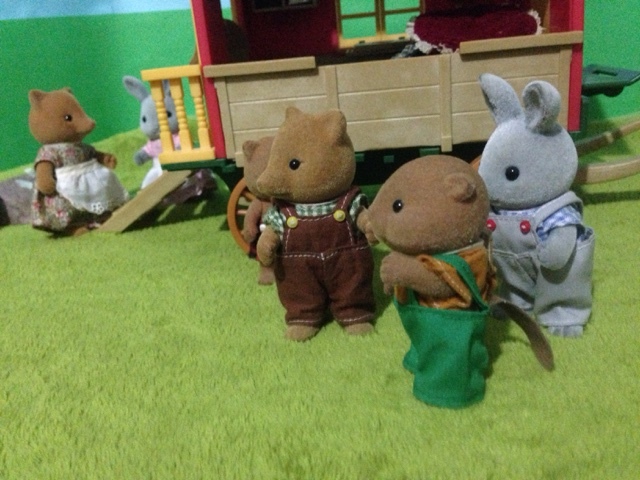 Said Slick, "build a house, here on our campsite!?" "Wade is here to see if it's a possibility before I look into planning permission." 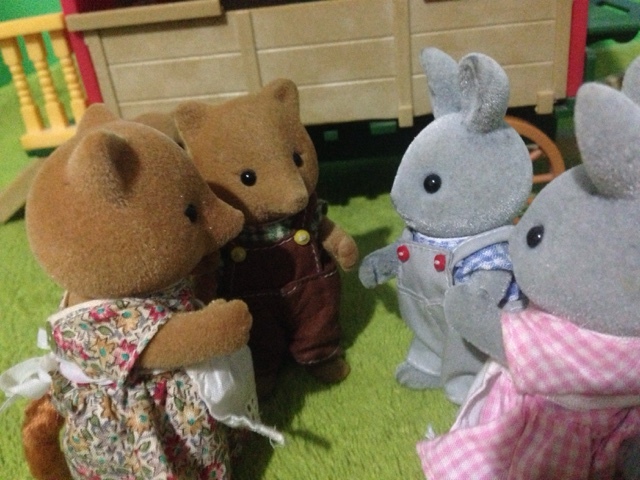 "Well here's the interesting thing" said Wade, "As this area isn't populated it doesn't officially have a council to give planning permission, you would have to look into laying a claim & paying a government fee." Wade then pointed out how far the "unclaimed" went. "Another good thing is when we build we won't have to upset the natural lay of the land either, there are plenty of good places to build." And with that the women all rushed over (having heard the good news) & they all hugged & made plans for their future.